Here I have gathered various games and prototypes I've made. You can contact me at pekuja@iki.fi. Implemented gameplay systems including AI, player weapons, procedural events, etc. 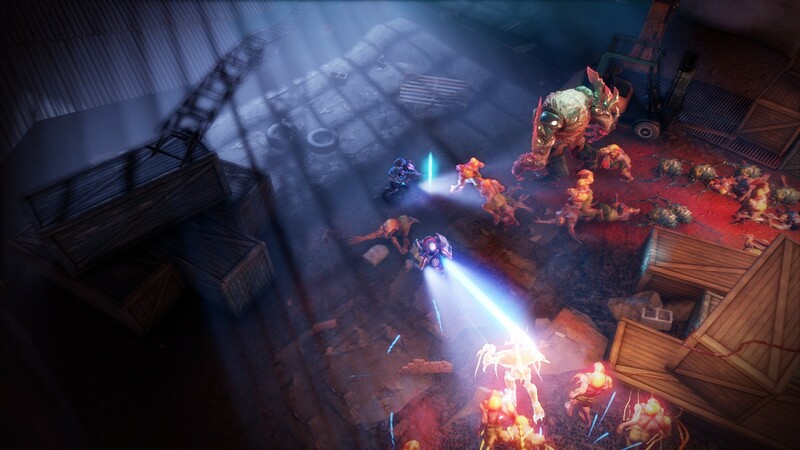 The game is a sci-fi action RPG, and is a PlayStation 4 exclusive. 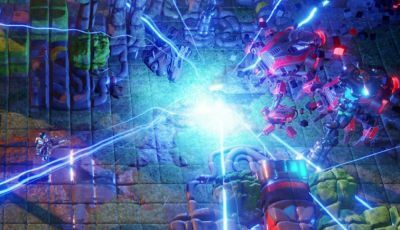 The game was released April 2016. This is mostly a graphically improved remake of the Flash game of the same name (see below). This version was recreated from scratch in C++ during 2011. The creation of the PSP version took much longer than the original Flash version, as the platform proved to be challenging. Personal matters and setting up my own company also took up time from development. Tiny Hawk was released on the European PlayStation Network in January 2012 in the PlayStation Minis section of the store, and is available for PSP, PS3 and PSVita devices. This is a direct port of the PSP version of Tiny Hawk, using the Marmalade SDK to replace any PSP specific code. This proved to be a good fit for the codebase, and the iOS version of the game was out in March 2012, just a couple of months after the release of the PSP version. The Android version was released in June 2012; later due to lack of devices to test on. 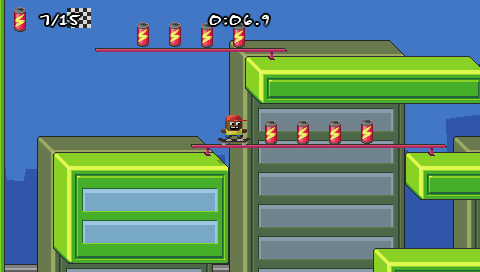 2D platformer. The twist is that you're riding a skateboard and as such can't stop. The player accelerates constantly and the primary action is to jump. You can also do wall-jumps by holding the jump button, turn around (only while on the ground) by pressing left and right, or drop down if you're riding a rail. The game was created in ActionScript 3 using the FlashPunk framework. The majority of development happened during October 2010, during the first annual Ludum Dare October Challenge, which challenges hobbyists to make money on their games. Tiny Hawk got a sponsorship through Flash Game License, and as such is my first commercially released game. I enjoy participating in game jams, creating games in a limited time with often spontaneously formed teams, and putting them out there for people to play. My first VR game, created together with artist Petri Räsänen at the Global Game Jam 2017 in 48 hours. The theme was "waves" so we gravitated towards a game with a nautical vibe. 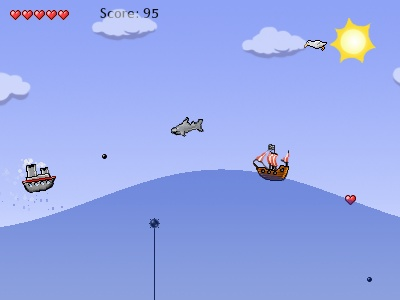 The player becomes a sea monster, picking up and throwing boats around while creating huge waves in the water. I did all the programming on this game, though I will admit, the SteamVR package for Unity gave me a huge leg up. Trip on the Funny Boat was created in March 2006 for the second biannual PyWeek game programming challenge. The theme for the challenge was "It runs on steam". 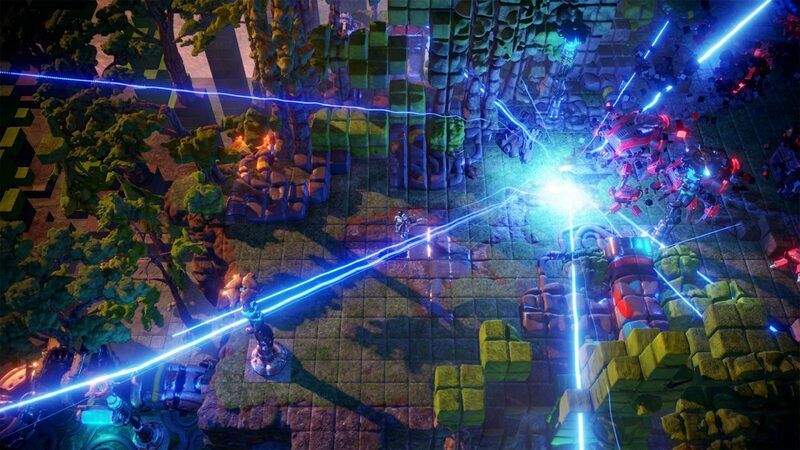 The game itself is a fairly simple side-scrolling shoot-em-up game, with the twist of riding waves on the sea. This affects your aim, so taking advantage of the waves is crucial to victory. The game placed 1st in the team category of the PyWeek challenge. I did all the programming and most of the game design on the game. 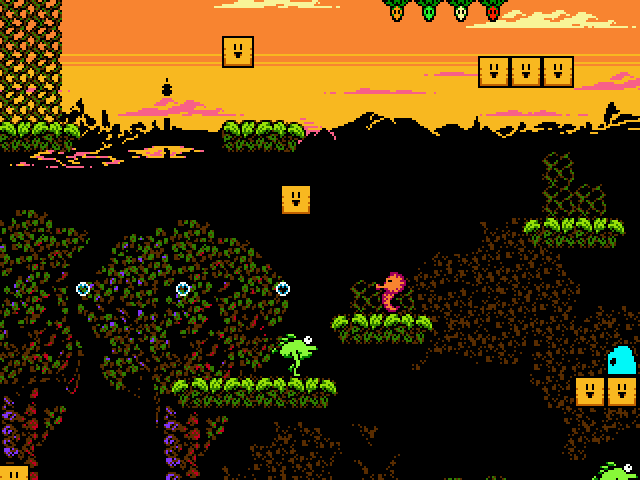 The game was written in Python using the PyGame library. Barbie Seahorse Adventures was created in April 2007 for the fourth biannual PyWeek game programming challenge. The theme for the challenge was "The only way is up". 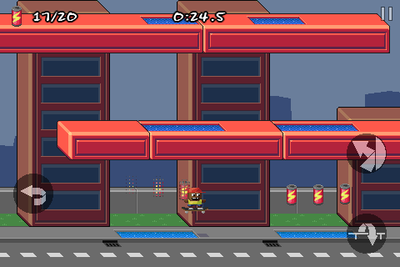 The game is a 2D platformer, inspired by Super Mario Bros. 3 and Bubble Bobble. I did all the gameplay programming and a bit of level design. 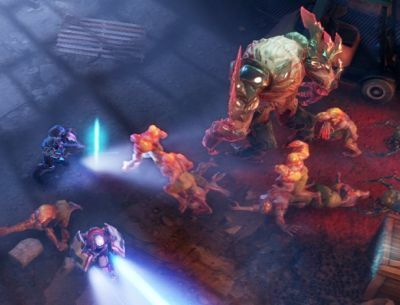 Game design duties were shared amongst the five-man team. The game was written in Python using the PyGame library and Phil's PyGame Utilities (PGU). 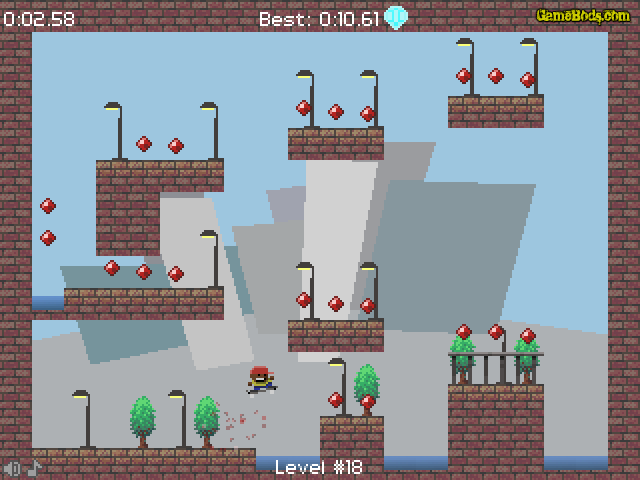 Created in January 2011 for the third annual Global Game Jam. The theme was "Extinction". 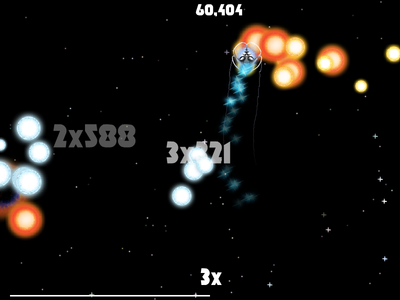 We came up with concept that mixes rhythm and shooter elements with a score combo system. 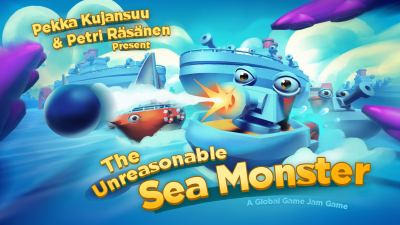 Our game was chosen by a local jury as the best of our game jam site in Tampere out of 11 games. We also won a chance to present our game at Casual Connect 2011 in Hamburg as one of the ten winning teams in a competition organized by GGJ sponsor Gamesauce Media. I was one of three programmers that worked on the project. I was primarily in charge of the synchronization of the gameplay and music. The game was created in ActionScript 3 using the FlashPunk framework.